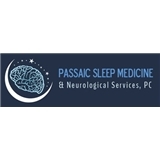 Passaic Sleep Medicine & Neurological Services (West Orange) - Book Appointment Online! Dr Mian was the real deal. He was extremely knowledgeable and spent almost half an hour with me, diagnosing my present situation and providing excellent insight into future steps. He patiently listened to every concern and answered every question I had, no matter how relevant or silly it seemed, and I left feeling reassured and relieved that I am in the hands of someone who is intelligent, experienced, patient, and caring. Highly recommend.